€1,500 pcm. Apartment Rented Minimum Rental Period: 12 Months. 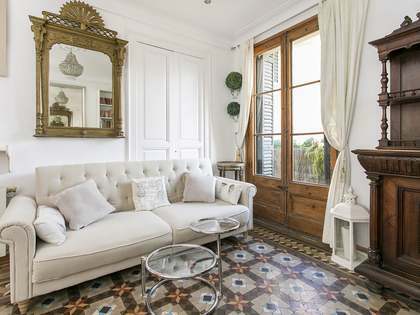 This newly renovated, exterior apartment can be rented furnished or unfurnished and boasts high quality finishes combined with original, period features. 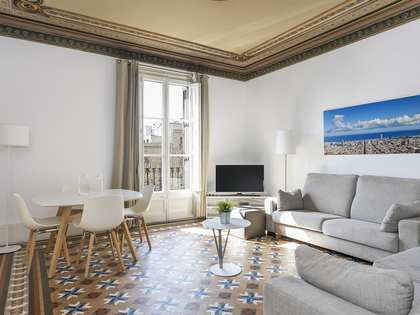 The apartment can be found on a quiet passage near Sagrada Familia and as a result enjoys a great location without being disturbed by traffic, tourists etc. The property consists of a living room, kitchen with a dining area and a guest bathroom, as well as 2 en-suite bedrooms which share a terrace. There is also a balcony along the front of the property that overlooks the street. It has just finished being renovated and so has lovely modern, high quality finishes whilst retaining some of the original features such as high ceilings and brick walls. This modern apartment comes equipped with air conditioning, heating and double glazing and can be rented either furnished or unfurnished. Due to its large windows and glass doors, the property also benefits from an abundance of natural light. 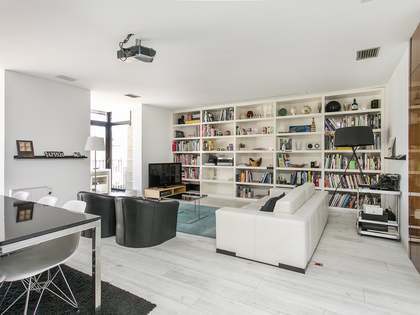 A wonderful opportunity to rent a charming, new apartment in a prime location. 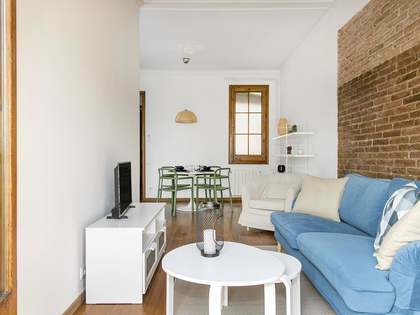 Found on a quiet passage near the beautiful Sagrada Familia, this apartment is ideally located with all amenities close by such as shops, restaurants, bars, gyms etc. 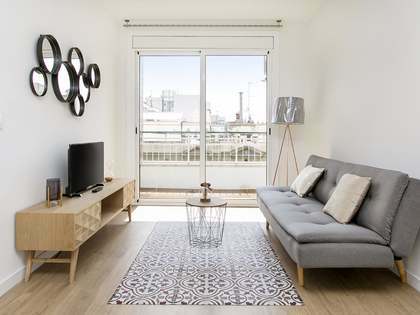 It is well connected to the rest of Barcelona with plenty of bus stops in the area and the Sagrada Familia metro stop with both the L2 and L5 lines just a few minutes walk away.